TDC is pleased to announce the launch of a new website! We have added enhanced content tailored to provide the most useful resource possible to both our internal UHN community, as well as the external industry and investor communities. For instance, we've now provided an up-to-date searchable listing of all of UHN's currently availble technologies, information on working successfully with TDC and UHN, frequently asked questions, and access to various document templates even when off the UHN network, in addition to other useful content. On November 21st, UHN's Technology Development & Commercialization invited the UHN Community to join anexciting panel of experts in the diagnostics/prognostics area as they discussed the challenges to and strategies for getting these tests into the market. We were privileged to have panelsts from LifeLabs, Dynacare, Geneseeq Technology, and Bereskin & Parr present to discuss the pathway to developing diagnostics/prognostics towards patient impact. The session was recorded for those that were unable to attend and can be viewed in its entirety here. 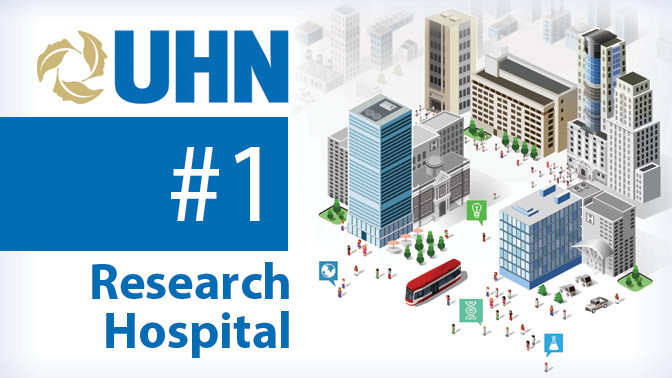 UHN named the top-funded research hospital in Canada by RE$EARCH Infosource Inc.
UHN was ranked number one on the 2017 list of Canada’s Top 40 Research Hospitals, released by RE$EARCH Infosource Inc. The annual rankings compare research hospitals across Canada according to their research funding data. Funds that were considered included grants, contributions and contracts from all internal and external government and non-government sources. International Marine Innovation and Entrepreneurship Competition (MTEC) Finals held in Qingdao Blue Valley on the 6th. After the selection of 10 preliminary matches in 6 countries, a total of 50 teams entered the finals. Eventually, the Eco-Friendly Marine Coatings team from Germany won the championship and received 500,000 RMB bonuses and the start-up counseling and support services provided by Shandong University. The team from Thornhill Medical (an innovative medical device company) from Toronto Canada was the runner up in second place and recieved 300,000 RMB bonuses and start-up counseling and support services as well. Toronto, Ontario--(Newsfile Corp. - October 12, 2017) - The Jenex Corporation (TSXV: JEN.H) ("Jenex" or the "Company"), a progressive medical device technology company, today announces that it has received promising initial results on the Zika virus testing with TherOZap™. Cambridge, MA, October 4, 2017 – AVROBIO, Inc., a clinical-stage biotechnology company developing transformative, life-changing gene therapies for rare diseases, today announced the expansion of its pipeline to cystinosis. This program becomes AVROBIO’s fourth gene therapy for lysosomal storage disorders (LSDs), and with an anticipated IND filing later this year is expected to enter the clinic in early 2018. The cystinosis program was licensed from GenStem Therapeutics, Inc. Terms of the license agreement were not disclosed. TORONTO, September 26, 2017 (Newswire.com) Bauer, the world's leading manufacturer of ice hockey equipment, recently launched the first athletic product clinically shown to help protect the brain from the inside during sports-related impacts. 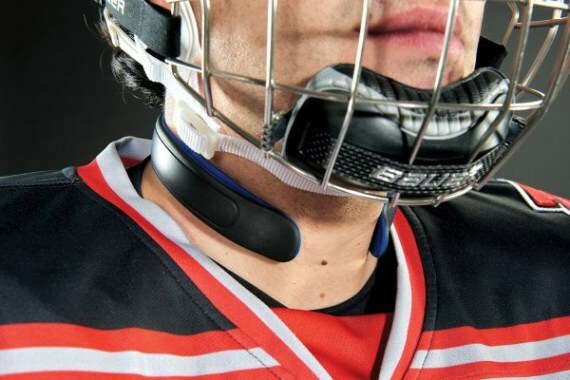 Continuing Bauer Hockey's rich history of delivering game-changing technologies, the BAUER NeuroShield collar revolutionizes head protection with an innovative approach that delivers peer-reviewed scientific benefits. MISSISSAUGA, ON, Sept. 8, 2017 /CNW/ - MyndTec, an award-winning Canadian medical technology company announced today it has received 510(k) clearance to market its landmark product MyndMove®. MyndTec is a pioneer in the treatment of arm and hand paralysis caused by stroke or spinal cord injury. "This is a major milestone in the evolution of our company," said MyndTec Founder Dr. Milos R. Popovic. "We are delighted that we can now offer this life-changing therapy to patients in the U.S. with upper extremity paralysis." MyndTec intends to initiate a pilot launch of MyndMove® into the U.S. market which complements a product introduction already underway in Canada with a previously announced approval from Health Canada. Are you a graduated student with an interest in commercialization? Experience with market analysis? A scientific background? Join the TDC team as our TDC Commercialization Intern starting this Fall, 2017. Please note this opportunity is not available to current students. TDC is proud to have helped enable an important advance in radiation therapy and radiation therapy training, and to honor the memory of one of our great inventors, Dr. Michael Sharpe. In this video, UHN outlines the impact of the automatic treatment planning innovations it recently licensed to RaySearch, enabling algorithms from Princess Margaret Cancer Center to be integrated into RayStation. SOUTH SAN FRANCISCO, CA — (Marketwired) — 08/08/17 – VistaGen Therapeutics Inc. (NASDAQ: VTGN), a clinical-stage biopharmaceutical company focused on developing new generation medicines for depression and other central nervous system (CNS) disorders, announced today that the Company has received a Notice of Allowance from the U.S. Patent and Trademark Office (USPTO) for U.S. Patent Application No. 14/359,517 regarding proprietary methods for producing hematopoietic precursor stem cells, which are stem cells that give rise to all of the blood cells and most of the bone marrow cells in the body, with potential to impact both direct and supportive therapy for autoimmune disorders and cancer. Join the TDC Team at UHN! Longtime UHN researcher Dr. Christopher Paige has been named Inventor of the Year for his work in immune-oncology, a promising therapeutic approach based on the premise that a patient's own immune system has powerful cancer-fighting capabilities if correctly activated and targeted. Dr. Paige, who for close to two decades as UHN's Vice-President of Research, and later as Executive Vice- President (EVP) of Science and Research, championed commercialization as a strategy to transform discoveries into practical medical products to benefit patients, received the award at yesterday's UHN Annual General Meeting in the MaRS Auditorium. TORONTO, June 8, 2017 /PRNewswire/ – Thornhill Medical, has received notification from the US FDA that the MOVES® SLC™ Portable Emergency Life Support System has received 510K clearance. This approval expands the capabilities of the current MOVES® SLC™ system, including Pediatric Settings, Expanded Patient Monitoring Modes, New Ventilator Modes, and a Remote Monitoring and Control Interface. Toronto, Canada, May 16, 2017 – BresoDx®, developed by BresoTec and a technology developed at Toronto Rehabilitation Institute of the University Health Network (UHN), has been selected by the Ministry of Health and Long-Term Care (MOHLTC) for use in a home-based sleep apnea demonstration project with sleep clinics across Ontario. For the first time in the province, patients and sleep physicians will have the option to diagnose sleep apnea in the home.